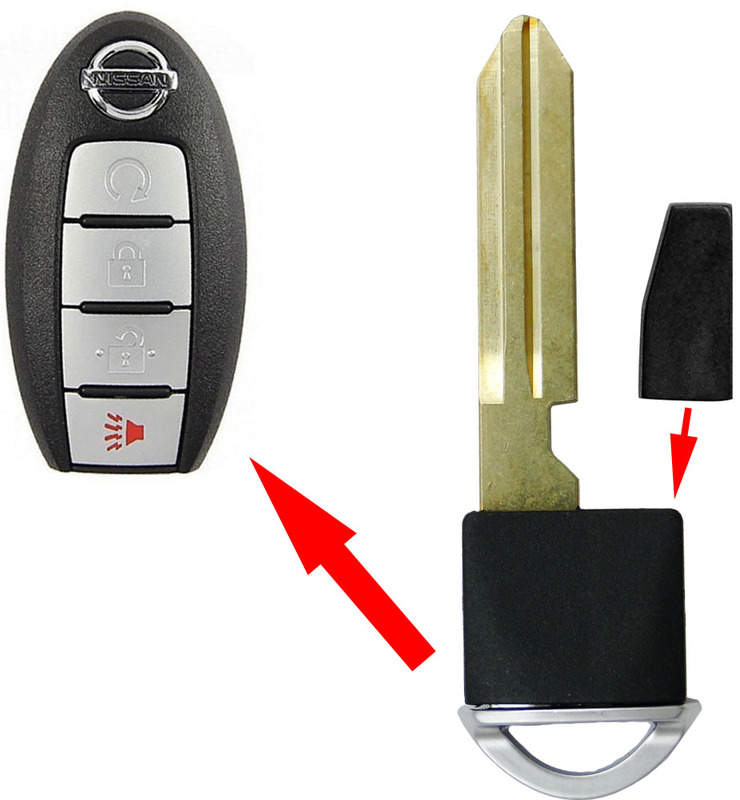 One Nissan Infiniti Emergency Insert key for smart remotes - with chip for late Nissan / Infiniti vehicles with twist on smart key ignition - twist knob start. 46 transponder chip installed inside the plastic key head. Fits the remotes with following FCC ID: CWTWBU735, CWTWBU729 , KBRTN001, CWTWBU619, CWTWBU624. 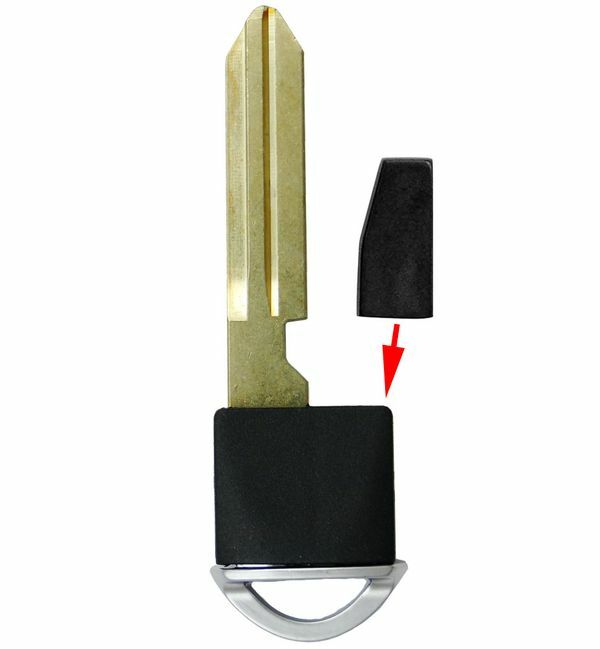 This is Carandtruckremotes brand aftermarket key, same as Nissan OE PN: H0564-7W010, H0564-JG00A, H0564-CB020, H0564-ZZ60A.